This last week we have had the delight of a troupe of Maasai warriors staying with us from Kenya. They are currently on tour, sharing something of their music and living oral culture in schools, churches and other venues. Through their tours they have been able to raise money to improve the life of their own community in Kenya, through the provision of clean drinking water, a clinic, an orphanage and a wonderful new school. Whilst with us, they gave two very lively, joyful and colourful performances which Sisters, staff and guests greatly enjoyed! 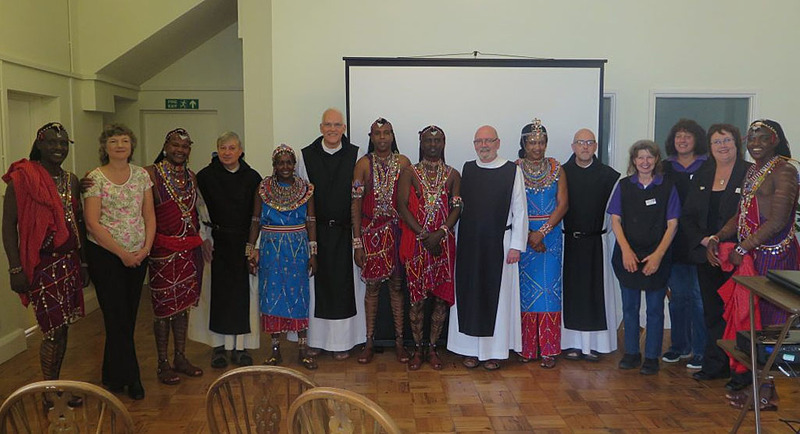 The photo shows the warriors with some of our staff and the Cistercian Brethren who were staying with us at the time.